GSEB Result 2015 – The Gujarat Secondary and Higher Secondary Education Board will be declared result in the month of May or June 2015.There are 44 Board of Education including State and Central in India which provides the education and conducts the class 10th/12th Board Exam. The Board has Conducted the Board Exam in the month of March 2015 at various Examination Center made by the GSEB Board, Now the Board is going to announced the GSEB SSC Result 2015 and GSEB HSC Result 2015 for Appeared Students in the above Exam 2015. The Gujarat Secondary and Higher Secondary Education Board (GSEB) SSC and HSC Result to be declared soon. Gujarat Board was conducted the Gujarat SSC Exam 2015 and Gujarat HSC Exam 2015 in the month of March. There are a large number of students are appearing in the examination. After the examination, student’s looks for their GSEB Result to get announce. We are notifying such students that here you will get the entire details and updates about the Gujarat Board Result 2015. 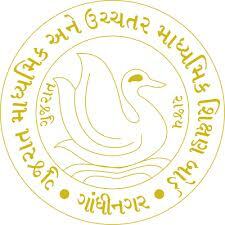 Gujarat Secondary and Higher Secondary Education Board well known as GSEB. The Gujarat board was formed on 1 May 1960. It is very popular board in the Gujarat State. The Board conducts examination for Class 10th and Class 12th every year in the month of March. It is responsible for conducting exam and then publishing the result on time. As per the information GSEB HSC Science Result 2015 will be published on May 28, 2015 and 12th Result on May 30, 2015. As per GSEB Press Note said thet the Result will be announced on May 28, 30 for HSC Science & General. As of now there is no official updates available regarding the results announcement date for 10th class students. But we will make sure to update you about the same, as soon as we receive any information. According to GSEB data, a total of 17,00,000 students appeared for GBSE Board examination this year. Students are waiting with their fingers crossed in anticipation of their board exam results. All the Appeared Students in the oard Exam can check their Gujarat Board Result 2015 by login to the www.gseb.org and entering your Roll Number and Submitting it. All applicants who appeared in this exam of GSEB Board, those can check their Result through various types i.e., Name wise, Roll Number wise, Sea number wise and you can also check through your mobile / SMS. will also covers the board results here to make you keep updating with the latest updates about results.